This is a very minor modification of the Small Head design. Longacre felt it desirable to include his initial on the obverse. A very tiny “L” was hidden on Liberty’s neck truncation. This initial is usually weak and very hard to see. Longacre’s initial is incuse in the coin, thus raised on the die. 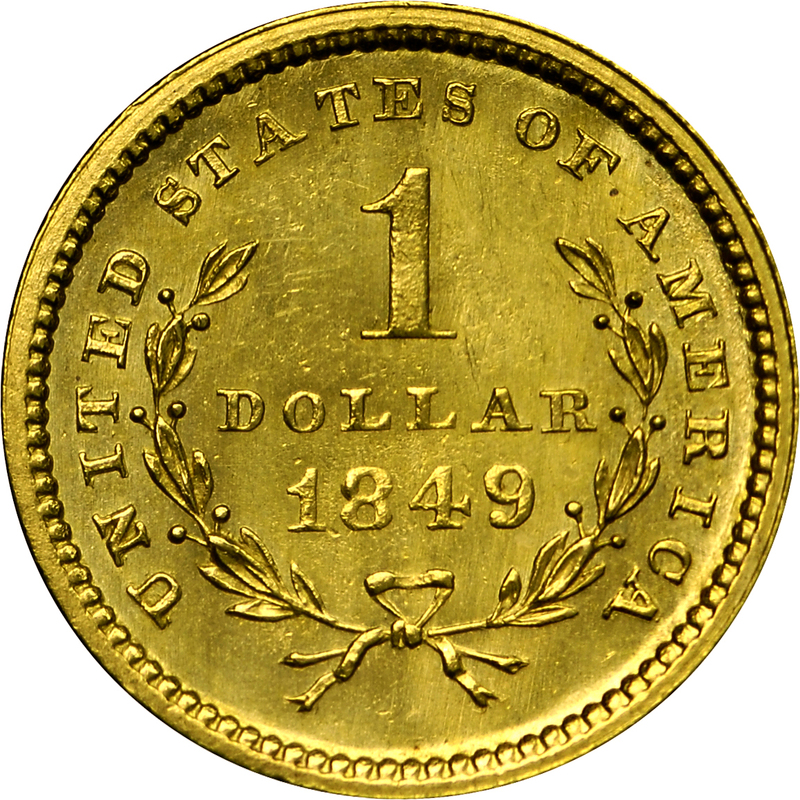 All other engraving is sunk into the surface of the coinage die, thus new dies had to be prepared rather than the simple operation of punching the small letter into the die. Purchased from Abner Kreisberg, April 23, 1973. 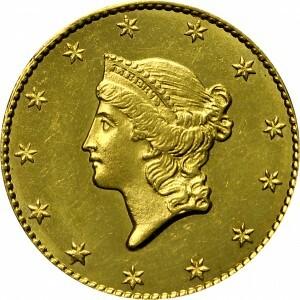 Small head of Liberty faces left, her hair tied in a bun and held by a coronet inscribed LIBERTY in incuse letters. Around, 13 stars. Bust truncation has the designer's initial L.
Two olive branches cross below, tied by a ribbon, forming an open wreath. Within, 1 DOLLAR and the date. Around, the statutory legend, UNITED STATES OF AMERICA. 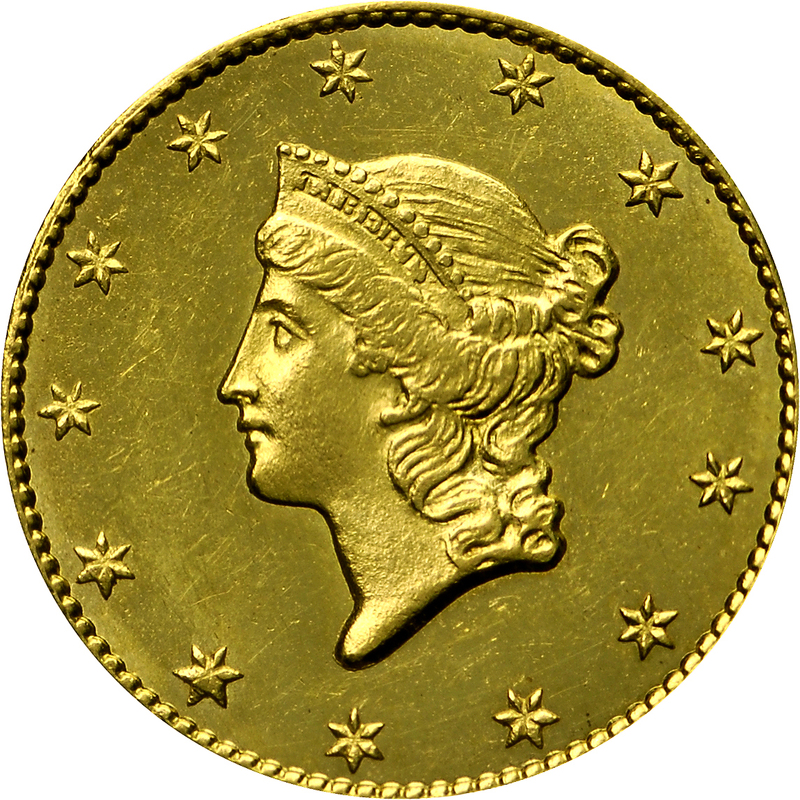 Mintmark for branch mint coins is below ribbon knot. "2(a)/C(a). 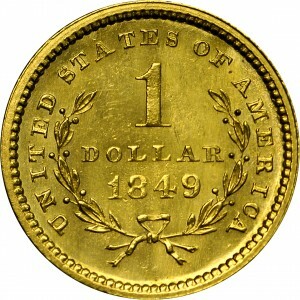 Obverse: Type II. Small Head. Weak L."